Directions for a Dream Shave: Rub your skin with hot water for 30 seconds (in the shower works best or use a hot towel). 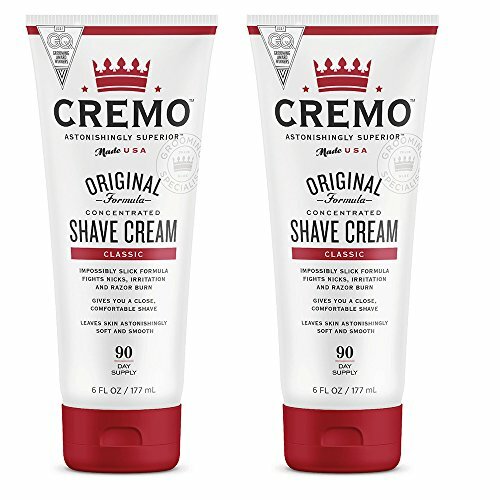 Leave your skin wet, as Cremo Cream is water-activated. Lightly coat your skin with an "almond-sized" squeeze of cream. Less is often best! Add a few drops of water to make and keep it slippery, the shave. If the razor clogs, use more water or less Cremo Cream.